Sorry, this event has already ended. Live Q&A with Damon Albarn & Brian Eno. Early Doors Premiere of Africa Express's film of last year's UK train tour. 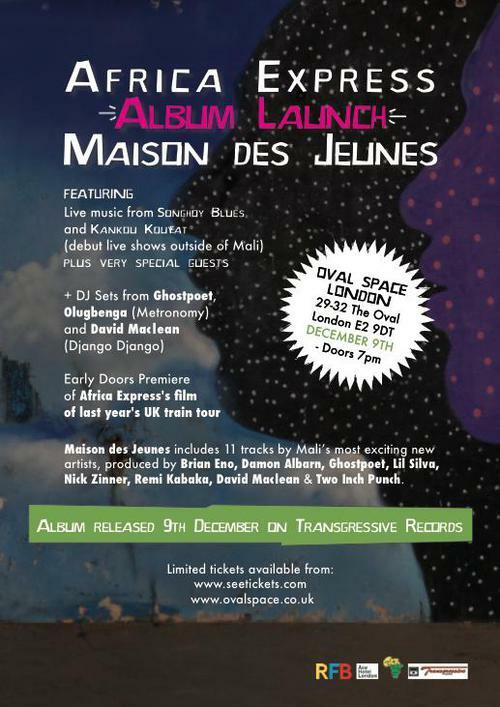 Maison des Jeunes includes 11 tracks by Mali's most exciting new artists, produced by Brian Eno, Damon Albarn, Ghostpoet, Lil Silva, Nick Zinner, Remi Kabaka, Dave Maclean & Two Inch Punch.